The Newbery Medal selection committee, chaired by Thom Barthelmess (center), headed over to the Workman/Algonquin booth in the exhibit hall after the awards were announced. Radiant Child: The Story of Young Artist Jean-Michel Basquiat, written & illustrated by Javaka Steptoe (Little, Brown ), won the 2017 Caldecott Medal, honoring "the most distinguished American picture book for children." They All Saw a Cat, illustrated and written by Brendan Wenzel (Chronicle). March: Book Three by John Lewis & Andrew Aydin, illustrated by Nate Powell (Top Shelf Productions), won the Coretta Scott King Author's Book Award, which recognizes "an African American author of outstanding books for children and young adults." Radiant Child: The Story of Young Artist Jean-Michel Basquiat, illustrated and written by Javaka Steptoe (Little, Brown), won the Coretta Scott King Illustrator Book Award, which recognizes "an African American illustrator of outstanding books for children and young adults." In Plain Sight, illustrated by Jerry Pinkney and written by Richard Jackson (a Neal Porter Book, Roaring Brook Press). Nikki Grimes won the Laura Ingalls Wilder Award, which honors "an author or illustrator whose books, published in the United States, have made, over a period of years, a substantial and lasting contribution to literature for children." Naomi Shihab Nye won the May Hill Arbuthnot Honor Lecture Award, recognizing "an author, critic, librarian, historian or teacher of children's literature," and will deliver the 2018 May Hill Arbuthnot Honor Lecture. Sarah Dessen won the Margaret A. Edwards Award for lifetime achievement in writing for young adults. 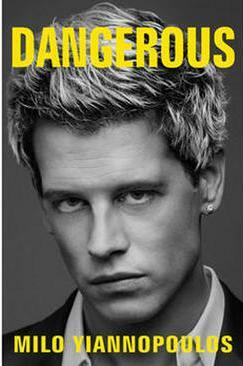 In a letter yesterday to authors posted by Buzzfeed, Simon & Schuster president and CEO Carolyn Reidy addressed the controversy over the book Dangerous by Milo Yiannopoulos, which S&S imprint Threshold Editions plans to publish in March. She emphasized that "we do not support or condone, nor will we publish, hate speech. Not from our authors. Not in our books. Not at our imprints. Not from our employees and not in our workplace." She added, "Neither Threshold Editions nor any other of our imprints will publish books that we think will incite hatred, discrimination or bullying." Yiannopoulos's proposal had been, she continued, to write a book that "would be a substantive examination of the issues of political correctness and free speech, issues that are already much-discussed and argued and fought over in both mainstream and alternative media and on campuses and in schools across the country." Threshold believed, she said, "that an articulate discussion of these issues, coming from an unconventional source like Mr. Yiannopoulos, could become an incisive commentary on today's social discourse that would sit well within its scope and mission, which is to publish works for a conservative audience." Reidy observed that "we are living in a time when many are feeling uncertainty and fear. It is a moment when political passions are running hotter and stronger than at any time in recent history, and cultural divides across the country seem to be getting wider. And so I can appreciate the strong opinions and feelings this has stirred in you and others. I also recognize that there may be a genuine debate to be had about who should be awarded a book contract. For us, in the end, it ultimately comes down to the text that is written." In an offer it hopes will end a European Union investigation, Amazon plans to drop its "most favored nation" clause in e-book contracts--requiring publishers to offer it equal or better terms than with any other e-book distributor or retailer--according to Bloomberg, quoting a European Commission statement. Under the offer, Amazon won't enforce clauses in current contracts and will omit them in future contracts for at least five years. The EU has been investigating whether Amazon's contracts prevented competitors from developing new products and limited competition between sellers of e-books. The investigation has focused on English-language and German-language e-book markets. The case got its start in 2014, when the Börsenverein--the German book trade association--filed a complaint about several of Amazon's business practices with the German antitrust office, a complaint that resonated with the EU. Reports last fall indicated that Amazon was in settlement talks with EU regulators. This case is separate from the EU's antitrust office investigation of Amazon's 2003 tax deal with Luxembourg that allowed it to pay much lower taxes on European operations than otherwise expected, a situation that, in a preliminary ruling, the office called "unfair state aid." Amazon will begin collecting sales tax in Vermont on February 1, according to NBC5. A statute concerning Internet sales tax collection is scheduled to go into effect on July 1. Vermont State Senate President Pro Tem Tim Ashe told the station that the change would benefit traditional retailers. "Six years ago a fellow senator and I introduced a bill requiring online retailers to collect and remit Vermont sales tax," he said. "It was a basic matter of fairness for us. In the six years since, large online retailers have been unwilling to play on the same level field with local brick and mortar stores, contributing to the closure of some of them." In other Amazon news, the company plans to open its first fulfillment center in Colorado. The one-million square foot facility, which will pick, pack and ship larger customer items, will be located in Aurora, where the company already operates a sortation center. Colorado Governor John Hickenlooper said the "announcement of a second facility and many more jobs for our state is something to celebrate." Aurora Mayor Steve Hogan said the community "has already benefited from their presence here and the announcement of a second facility is very exciting because it means continued economic growth in Aurora and the surrounding communities." 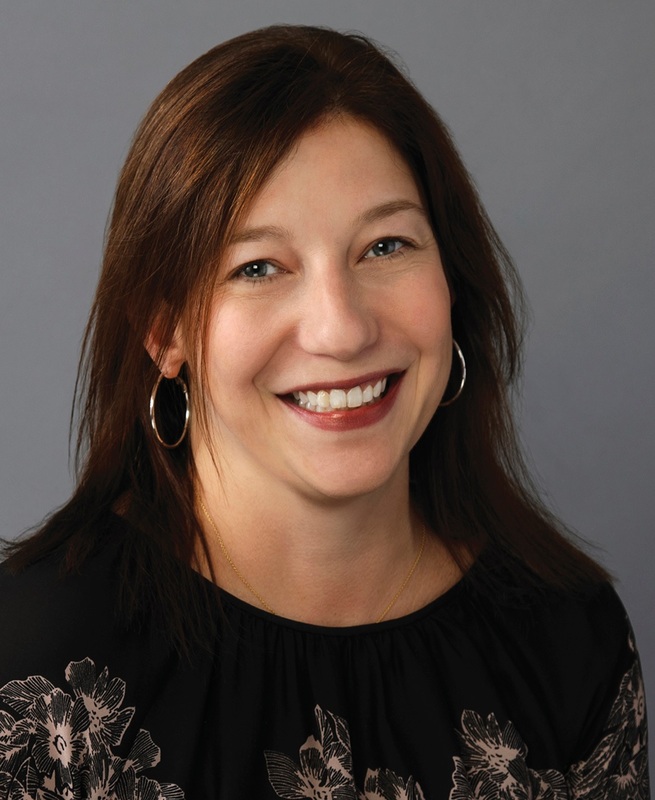 Following the departure of Dutton v-p and publisher Ben Sevier to become publisher of Grand Central Publishing, Christine Ball is being promoted to senior v-p, publisher, Putnam Dutton Berkley. She had been v-p, deputy publisher, and will continue to report to Ivan Held, president, Putnam Dutton Berkley. Madeline McIntosh, president, Penguin Publishing Group, noted that over the past two years the company has brought Putnam, Dutton and Berkley together, "each with its own dedicated editorial, marketing and publicity staff--while at the same time allowing the group to gain the benefit of a collaborative and coordinated commercial strategy. The results of this coordinated approach have been very positive, particularly in author development, in maximizing media and consumer reach, and in the team's extremely effective work with sales.... many of the successes of these last two years would have been impossible without Christine's leadership, publishing acuity, and extraordinary hard work on behalf of all three imprints." McIntosh said "moving Christine into Dutton" as a direct replacement for Sevier "would have been an easy, natural choice, but moving her out of Putnam and Berkley would have been a loss for them and for the group." But with her promotion, "The three respective marketing and publicity teams remain Christine's responsibility, and she will continue to take a lead with sales. Additionally, she will now work even more actively and directly with Ivan and the imprint editorial teams under him to shape the lists and the editorial strategy as a whole." British author and editor Emma Tennant, who was the editor of the Viking series Lives of Modern Women and in later years wrote several books that were inspired by Jane Austen's novels, including Pemberley, died January 21, the Bookseller reported. She was 79. Her many books include Burnt Diaries; Strangers: A Family Romance; Felony; A House in Corfu; Two Women of London: The Strange Case of Ms. Jekyll and Mrs. Hyde; and Girlitude: A Memoir of the 50s & 60s. Jamie Byng, publisher and managing director of Canongate, said: "It is with great sadness that we learnt today of the death of Emma Tennant, a talented and subversive writer with whom we published a number of books. Our thoughts are with her family." Nicholas Pearson, 4th Estate Publishing director, said Tennant "devoured the classics and used them as a gateway into her own unique voice: great literature delicately retold and expanded into vivid new stories. She had so many strings to her bow--her memoirs in particular were wonderful. We are extremely proud to have published her." Noting that she will be "greatly missed," Tennant's agency, PFD said: "We are so sad to hear the news of Emma Tennant's death. We are lucky to still be able to enjoy her legacy of wonderful books which reflect her special creative talent and her insightful understanding of Jane Austen's works." Our list of books for the winter and spring that booksellers are looking forward to selling concludes today with a look at children's and early readers titles. Lists of young adult & middle grade, nonfiction and fiction ran over the past three issues. 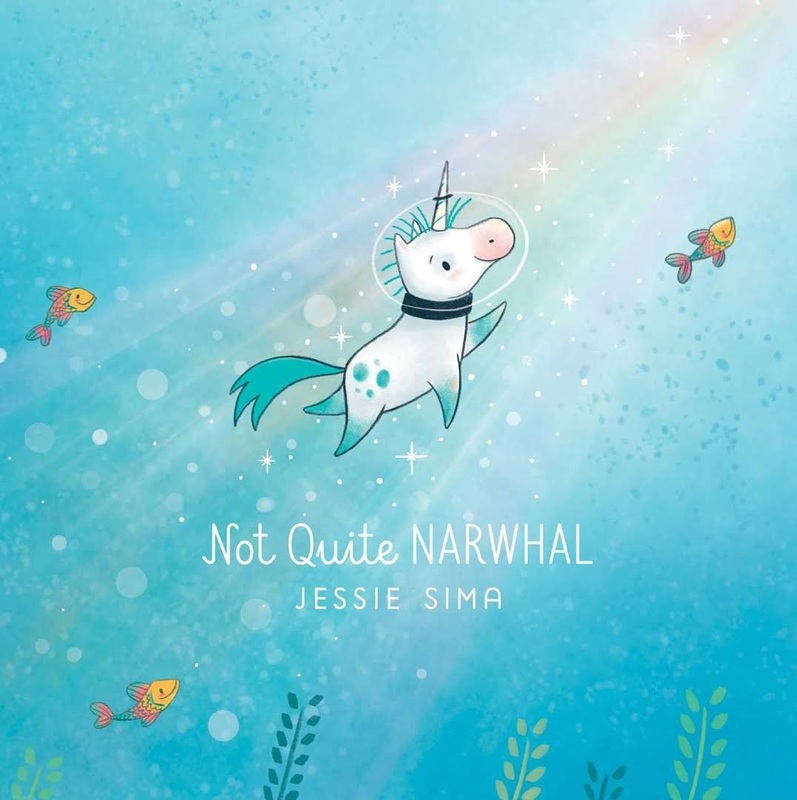 Arriving in stores on February 14 is Not Quite Narwhal (Simon & Schuster Books for Young Readers), the picture book debut of author and illustrator Jessie Sima. Kelp has grown up in the ocean thinking that he, like the rest of his family, is a narwhal, even though his horn is a little different and he's not as good a swimmer as a narwhal usually is. One day Kelp gets swept close to shore by a strong current and sees a creature that looks just like him, and soon he learns that he's not a narwhal but actually a unicorn. "This book is painfully adorable," said Brandi Stewart, children's book buyer at Changing Hands Bookstore in Tempe and Phoenix, Ariz., adding that she plans to recommend it as an adoption book for a child in a blended family or for anyone who has ever felt like they don't fit in. "The story is about finding your own way to belong," she said. "It's just beautiful." In Lane Smith's A Perfect Day, Cat, Dog, Chickadee and Squirrel are all having a great time doing their own thing. Cat is dozing in some daffodils, Dog is lounging in the pool, Chickadee is eating seeds from the bird feeder and Squirrel found a corncob. Once Bear comes along, however, their days are messed up to create a perfect day for Bear. Kate Schlademan, owner of the Learned Owl Book Shop in Hudson, Ohio, said she liked the book's message about perspective and that "perfect means something different for everyone. Loved the illustrations!" 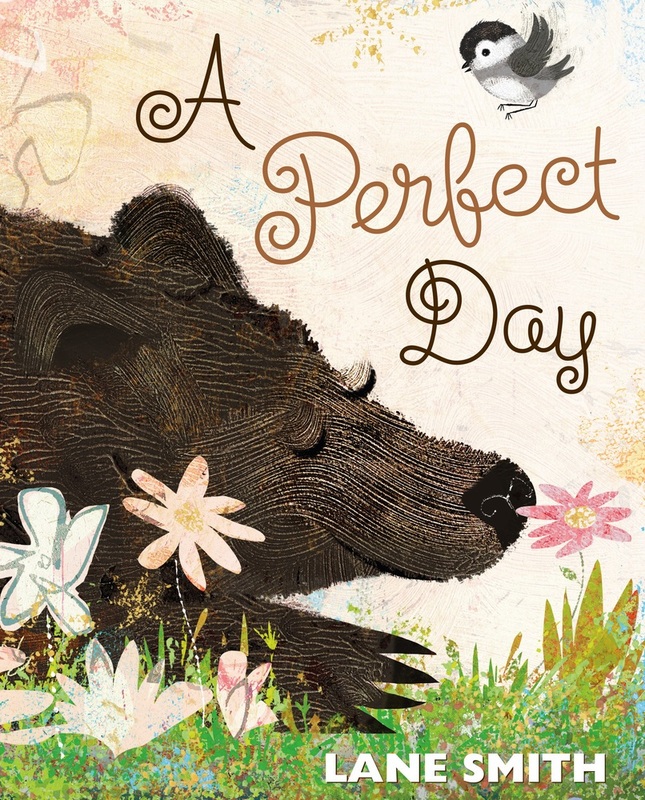 A Perfect Day will be available February 14 from Roaring Brook Press. 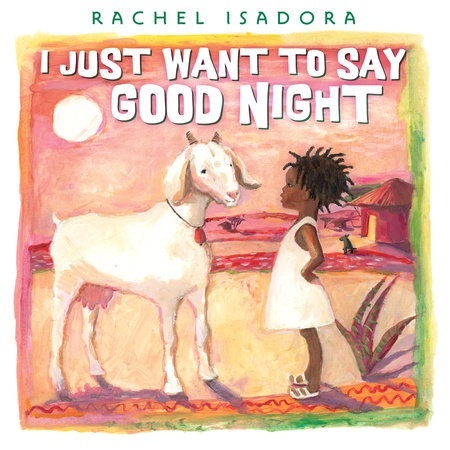 Caldecott Honor-winning author and illustrator Rachel Isadora returns on March 14 with I Just Want to Say Good Night, a new spin on the classic Goodnight Moon by Margaret Wise Brown and Clement Hurd, set on the African plains. I Just Want to Say Good Night follows Lala as she puts off going to bed by saying goodnight to her family's cat, goat, chickens and more one at a time. "Isadora perfectly captures the universal ritual of a child saying goodnight to everything as a way to stall going to bed," said Erin Barker, buyer and manager at Hooray for Books! in Alexandria, Va. "The book is humorous and gentle, and the main character is adorable." It will be published by Nancy Paulsen Books. 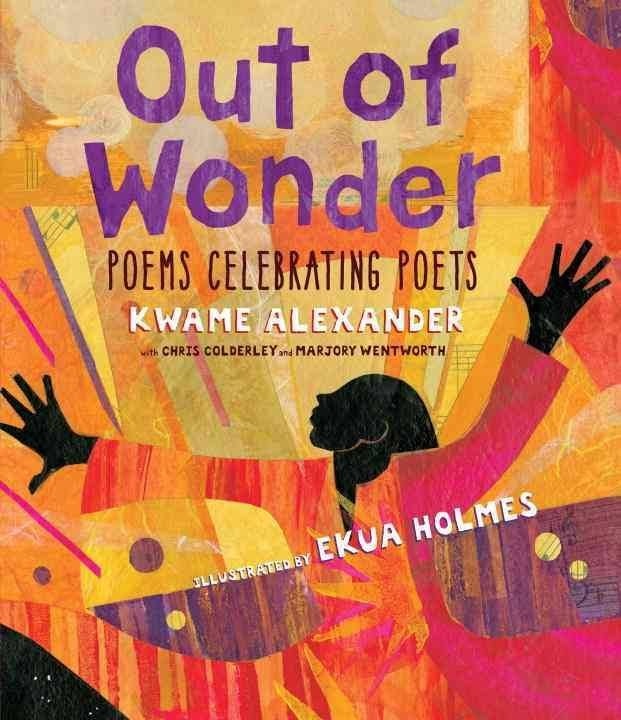 Out of Wonder: Poems Celebrating Poets marks the first collaboration between Newbery Medalist Kwame Alexander and Caldecott Honoree Ekua Holmes. It is a collection of original poems written by Alexander, Chris Colderley and Marjory Wentworth that pay homage to 20 poets who inspired them at some point in their lives. Small biographies are provided for each celebrated poet, and the original poems are accompanied by mixed-media images created by Holmes. Judy Bulow, book buyer at Tattered Cover Book Store in Denver, Colo., recommended Out of Wonder. 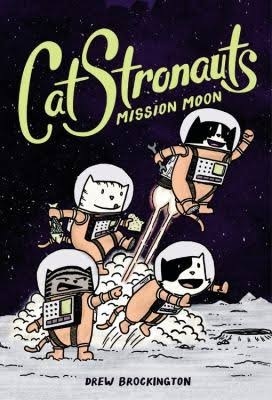 It will be available March 14 from Candlewick Press. John Ronald's Dragons: The Story of J.R.R. Tolkien is a picture book retelling of the life of J.R.R. Tolkien and the events that inspired him to create arguably the world's best known fantasy series. 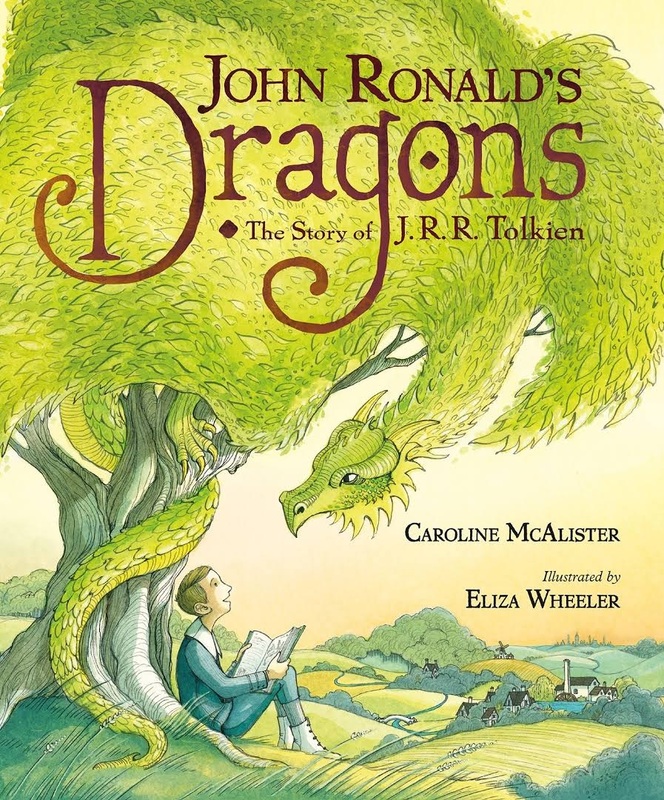 Written by Caroline McAlister and illustrated by Eliza Wheeler, John Ronald's Dragons follows Tolkien's life from his early childhood and the loss of his mother to his service in World War I and the years beyond, when he decided to write of Middle Earth and dragons for the first time. Max Probst, children's book buyer at Vroman's Bookstore in Pasadena, Calif., recommended this Tolkien biography, calling it "a lot of fun." Available March 21. 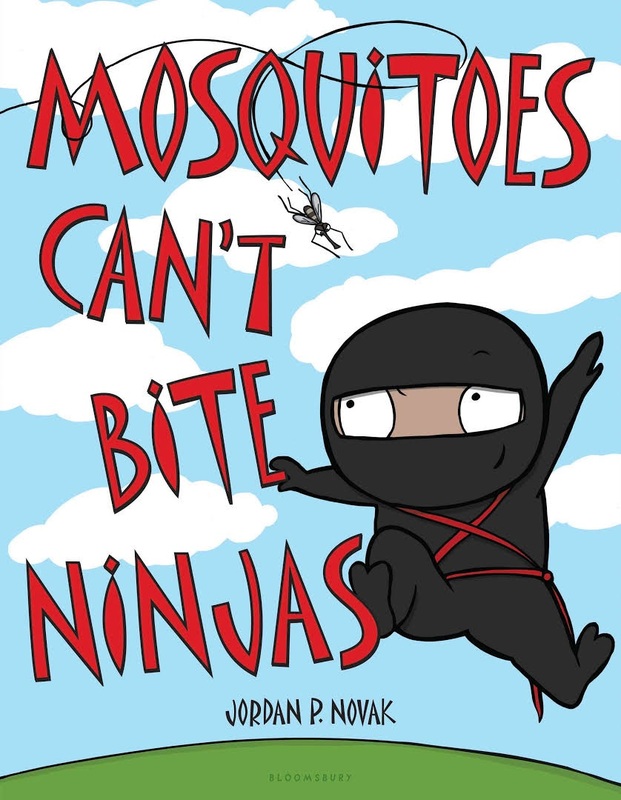 In Jordan P. Novak's early readers debut, Mosquitoes Can't Bite Ninjas, the only way to out-stealth a mosquito and avoid being bitten is to move like a ninja. Kate Schlademan of the Learned Owl said: "Mosquitoes bring out the ninja in all of us. Very funny!" Look for Mosquitoes Can't Bite Ninjas from Bloomsbury USA Children's on March 28. In 2012, R.J. Palacio published Wonder, about a young boy born with a facial deformity trying to fit in at school and lead a normal life, which went on to inspire the Choose Kind movement. 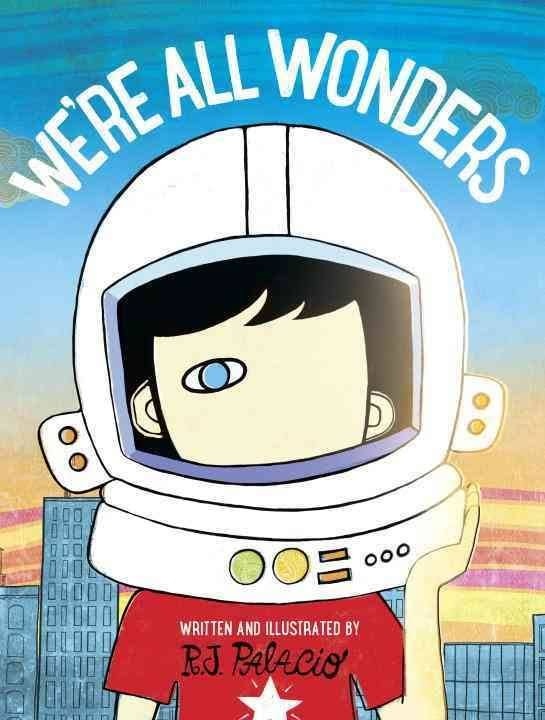 On March 28, Palacio will publish We're All Wonders, a picture-book retelling intended for a younger audience. "Wonder is extended to a younger group with Palacio writing and illustrating the story of a boy who is really just a regular boy after all, but born with looks that are a bit different," said Judy Bulow of the Tattered Cover. "Choosing kindness extends to the preschoolers and kindergartners, too!" Published by Knopf Books for Young Readers. 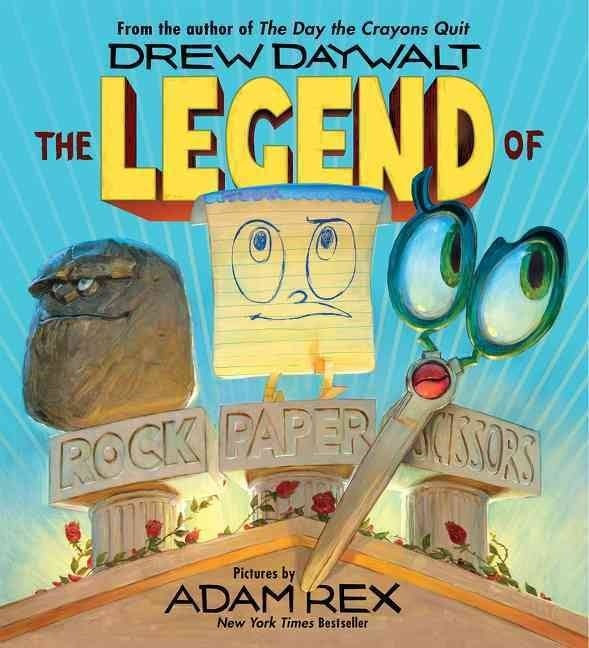 The Legend of Rock Paper Scissors is the first collaboration between Drew Daywalt, author of The Day the Crayons Quit, and Adam Rex, author and illustrator of Frankenstein Makes a Sandwich. Coming April 4 from Balzer + Bray, The Legend of Rock Paper Scissors tells the legendary origin of the game Rock, Paper, Scissors, when warriors from the Kingdom of the Backyard, the Empire of Mom's Home Office and the Kitchen Realm battled it out for the first time. "We're going to sell a ton of this," said Max Probst of Vroman's. "It's a lot of fun." BE QUIET! 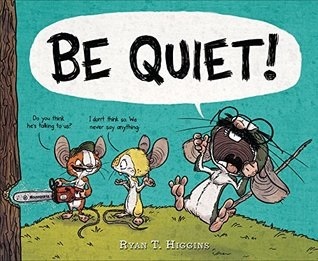 by Ryan T. Higgins is the story of a mouse named Rupert, who wants nothing more than to star in a wordless, silent picture book. Rupert's friends, however, are extremely noisy, and their attempts to help do more harm than good. "The humor will delight both parents who appreciate a moment's silence and kids who have so much to say," said Erin Barker of Hooray for Books! "Perfect for interactive story times and read-alouds." It will be available April 4 from Disney-Hyperion. 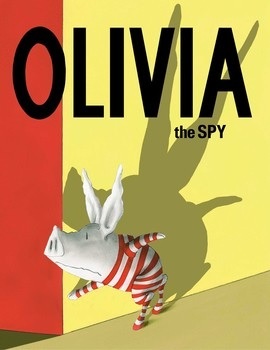 Olivia the pig returns on April 4 with Olivia the Spy by Ian Falconer. Olivia's birthday is coming up, and although she knows she's not supposed to eavesdrop on her mom to learn the birthday plans, she can't help it. But instead of birthday plans, Olivia hears her mom talking about Olivia's bad behavior, and suddenly her imagination runs wild with fears of being sent to boarding school. Recommended by both Judy Bulow of the Tattered Cover and Shelf Awareness children's editor Karin Snelson. Published by Atheneum/Caitlyn Dlouhy Books. Steve Yates (l.), author of The Legend of the Albino Farm, and Man Martin (r.), author of The Lemon Jell-O Syndrome, pose holding ARCs of each other's upcoming works during an Unbridled Books signing at the American Library Association's Midwinter show in Atlanta. Pages Bookstore Café in Istanbul, Turkey, "represents one man's ambitious quest to change the lives of Syrian youth," the Guardian reported, noting that Samer al-Kadri, founder of the first Arabic bookshop in the city, "hopes to create a space for young Syrians curious about the world, who want to escape the isolation of refugee life, and, for a fleeting moment, pretend they are back in their homeland." "I'm incredibly happy," he said. "I get to meet this generation, between 18 and 25 years old. This generation is surprising me with their understanding, their openness, their dialogue.... It's a place where we can have conversations as Syrians with each other once again, to have dialogue, to accept each other, to change our mentality that was closed in on Syria only, and didn't see the outside world." Kadri hopes to start a branch in Berlin, Germany, to cater to the refugee community there, and is setting up a new publishing house dedicated to debut novels by young Syrian and Arab writers to be sold throughout the Middle East. He is also working with local publishing houses to translate the novels into Turkish. "We are not able to change, but we can help the next generation change for the better," he said. "My message to the world is don't judge Syrians as one bloc. You wouldn't want us to judge an entire society as one. Look and observe well, and determine the reality for yourself." 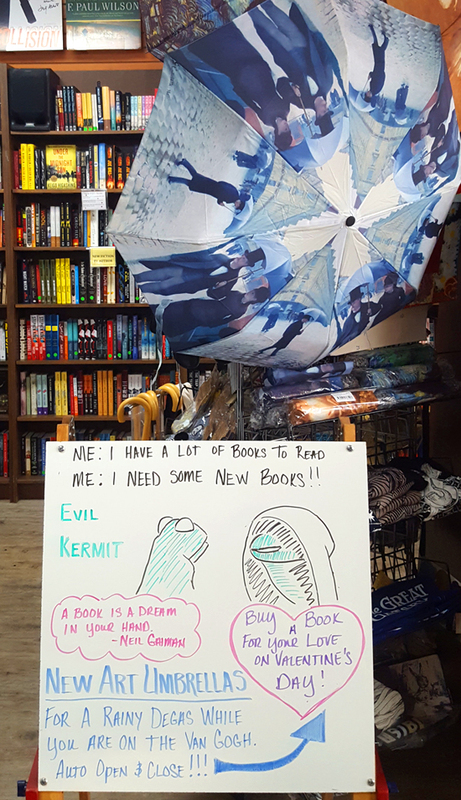 Jamille Christman, head of events and PR at Eagle Eye Book Shop in Decatur, Ga., shared a photo of the sandwich board she created to promote the bookshop's line of new art-themed umbrellas "for a rainy Degas while you are on the Van Gogh." Andrea Dewerd has been promoted to assistant director, marketing for the Random House, Spiegel & Grau and One World imprints. She joined the group in 2015. This Is How It Always Is: A Novel by Laurie Frankel (Flatiron Books). Fresh Air: Stephen Kinzer, author of The True Flag: Theodore Roosevelt, Mark Twain, and the Birth of American Empire (Holt, $28, 9781627792165). CNBC's Squawk Box: Leigh Gallagher, author of The Airbnb Story: How Three Ordinary Guys Disrupted an Industry, Made Billions... and Created Plenty of Controversy (Houghton Mifflin Harcourt, $28, 9780544952669). NBC's Harry: Nick Offerman, author of Good Clean Fun: Misadventures in Sawdust at Offerman Woodshop (Dutton, $35, 9781101984659). Conan: Leah Remini, co-author of Troublemaker: Surviving Hollywood and Scientology (Ballantine, $17, 9781101886984). Late Night with Seth Meyers: Matt Taibbi, author of Insane Clown President: Dispatches from the 2016 Circus (Spiegel & Grau, $26, 9780399592461). Daily Show: Heather Ann Thompson, author of Blood in the Water: The Attica Prison Uprising of 1971 and Its Legacy (Pantheon, $35, 9780375423222). Ethan Hawke "has started production on Blaze, directing a drama based on the life story of late C&W songwriter Blaze Foley," Deadline reported. The project is an adaptation of the memoir Living in the Woods in a Tree by Sybil Rosen, with whom Hawke wrote the script. Ben Dickey plays the title character, with Alia Shawkat as Rosen and the author as her own mother. The cast also includes Charlie Sexton and Josh Hamilton. Shooting has begun in Louisiana and Mississippi. "I've loved Blaze's music for a long while and like many have been moved by the events of his life, but after reading Sybil Rosen's beautiful memoir, this project became a priority," said Hawke. "Now we hope to bring his heartbreaking story and musical brilliance to a much larger audience." 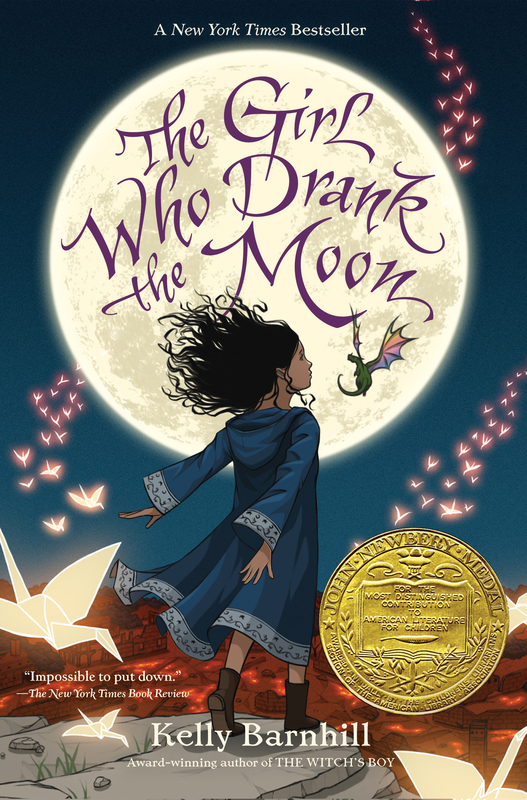 Yesterday, at the American Library Association's Youth Media Awards in Atlanta, Ga., Kelly Barnhill won the Newbery Medal for her fourth fantasy novel, The Girl Who Drank the Moon (Algonquin Books for Young Readers). Her novels The Witch's Boy and The Mostly True Story of Jack received four starred reviews, and Iron Hearted Violet received a Parents' Choice Gold Award and was an André Norton Award finalist. She lives in Minnesota with her husband and three children. 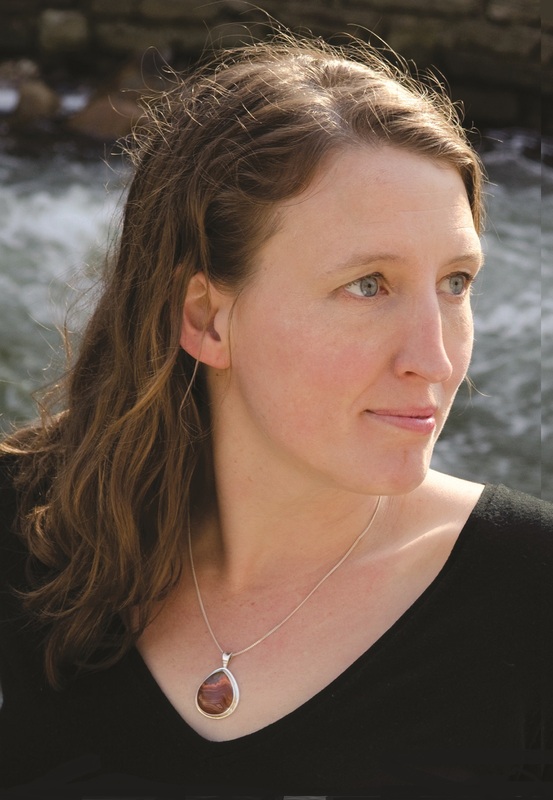 Barnhill talked with Shelf Awareness on the phone shortly after winning the Newbery for her delightful, thought-provoking fantasy about "a 500-year-old witch and a poetry-quoting swamp monster and a perfectly tiny dragon with delusions of grandeur who all have to raise a magical baby." Congratulations, Kelly! Tell us about "the call." Everyone always wants to hear the stories of where the authors were when they received their early-morning call from the Newbery Medal committee. Nobody tells you how weird it is to get woken up at 5:15 in the morning by a roomful of librarians, you know. I was literally dead asleep. Dead, dead, dead asleep. Because it did not occur to me that this was even a remote possibility. And, in fact, there were a couple of people, even this weekend, who said it could happen, and each time I responded to them with total derision and disdain. I have my phone in my room and my kids had changed the ringtone to the opening theme song for Wonder Woman, the old '70s TV show. So, first of all, that blasts me awake and I was totally disoriented, and I answer the phone and it's literally a roomful of librarians... cheerful librarians! And they're so excited. It's moving to me, because I know how much work goes into that, how seriously they take children's literature. That made me cry a little bit. Not so much what they were saying to me, but their work. It's a strange thing for me because this book is incredibly dear to my heart-- and I was proud of it--but I didn't think that anyone would like it when I published it, honestly. In fact I had pre-written all my terrible reviews in my head... to save people the trouble... because I'm a Minnesotan, and I like to be helpful. But the first reviews came back so positive, I was shocked by it. Tell us about the 13-year-old girl in The Girl Who Drank the Moon. Luna! Luna is a child who does not know her own story. She only knows parts of her own story. She was a fun character to write because she's being raised by a very strange, but very loving family. When people ask me what my book's about, it's always very fun to say I'm writing a book about a 500-year-old witch and a poetry-quoting swamp monster and a perfectly tiny dragon with delusions of grandeur who all have to raise a magical baby. But the story's really about Luna. She's coming to grips with the fact that her body is changing and her life is changing and her mind is changing in ways that happen to all of us, because all of us do grow. We realize that the world is not what we thought it was. And that can be confusing and enraging too, right? Sometimes kids, in the process of their growing up, experience rage because "Why is it like this and why is it that the things that I once could rely on, I suddenly can't?" Suddenly their forward motion is on their own two feet. I liked writing about Luna because Luna is a prickly girl. I like writing about prickly girls and knowing about prickly girls because I was a prickly girl, and prickly girls don't get the credit that they need. She's prickly for a reason. She has a lot going on, a lot that she's trying to understand. But in the midst of all that is she feels so deeply. Her love for her grandmother and for her swamp monster and for her dragon are incredibly genuine, even though she understands that she's not being told the whole truth and that her family's need to protect her is genuine. You said writing this book was dear to your heart. Why? First of all, I really needed to spend some time thinking about the strange shape that a family can take and the strange shapes that love can take and how even though we can love one another with all of the fervor and the tenderness that goes with that, that we still make mistakes. We still get things wrong. And we still sometimes try to protect one another from sadness or harm even though it can be the actual protection that causes the sadness and harm. That was important for me to explore. I really started this book because of Glerk, the swamp monster. He was the very first thing that showed up. He was holding a daisy and he was saying a poem, actually the very last poem in the book. So I wrote down the poem and it appears, verbatim, just how I wrote it way back then. I don't know why I was thinking about a swamp monster. I'm not a visual thinker at all. It's extremely rare for me to get pictures in my head. So whenever I get an image in my head that pops up unbidden, first of all, I find it exhausting, and second of all, I pay attention to it because it's usually important, even if I don't know why. So what does Glerk look like? In my mind's eye, that one time I got a clear picture of Glerk, he was the color of algae, bright-green algae in a bog. And his eyes were very wide-spaced apart and very large. One thing that I don't think got into the text but is true is that his eyes move independently of one another. He's got very broad, damp jaws. So if you can imagine the face of a Chinese dragon but just generally more damp? I live in Minnesota, there are bogs everywhere; I have a great affinity for damp landscapes that are filled with life. He's of that substance, which might be gross to some people, but it's marvelous to me. How did you manage such a complex plot structure? Storyboards? Index cards? I'm working on a new book called The Sugar House, a retelling of the Hansel and Gretel story set in Minneapolis, in which the diabetic kid saves the day but nobody will believe him because he blew up the school. Not really, but that's how it plays in the media. It's about a kid who makes bad choices for sure, but he's a really good kid. Speaking of how things play in the media, The Girl Who Drank the Moon addresses the recent discussions of "fake news" in a way, since the entire City of Sorrows is perpetuating a tragic tradition based on a lie they think is true. I have a lot of friends who are journalists, and I remember in the fall after Hurricane Katrina we were having all these conversations about how the way we frame narrative can distort the facts. Are the people coming out of the broken store looters or scavengers? Well, it depends on my internal biases, right? So that was so interesting to me, and I wanted to be able to explore that in fiction. I didn't realize that this whole notion of fake news and false narratives would be so very relevant right now. I'm glad I can at least provide one avenue for people to discuss it. 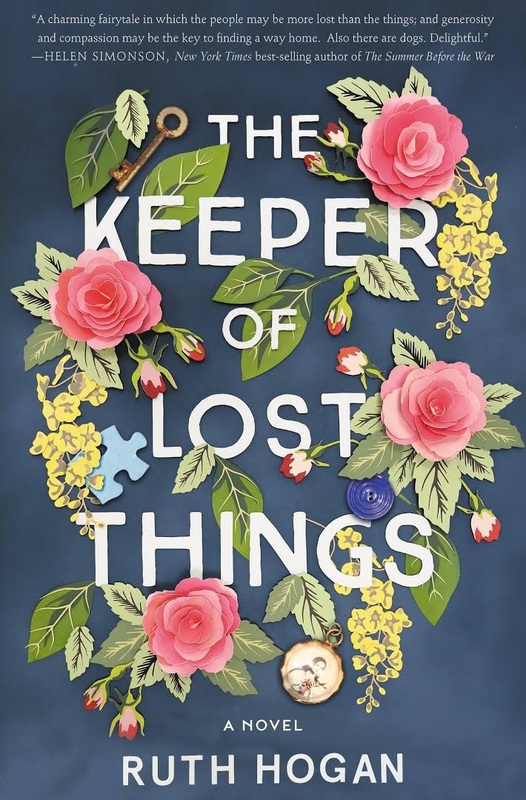 The mysteries behind unclaimed treasures, those who have lost them and the man determined to reunite possession and owner are the carefully tended threads of The Keeper of Lost Things, a rich and heartfelt first novel by Ruth Hogan. Seventy-four-year-old Anthony Peardew, an unmarried British writer, resides in a charming mansion, a "solid redbrick Victorian villa with honeysuckle and clematis framing the steeply pitched porch." Loss has permeated Peardew's life. Forty years earlier his beloved fiancée, Therese, as a token of her love, gave him her Communion medallion embossed with a tiny picture of St. Therese of the Roses. Soon thereafter, Peardew lost the medallion on the same day that Therese died unexpectedly. As atonement for the eerie timing of the lost medal, he made it his purpose in life to gather, meticulously label and give a loving home to a "sad salmagundi" of lost objects--jigsaw puzzle pieces, hair bobbles, gemstones and even a biscuit tin containing cremation remains--which he stored in his large study. But objects aren't the only things in life that can get lost. People, too, often lose their way and need someone to rescue them. In life and in death, Anthony Peardew unknowingly brings together strangers as a result of his quest: Laura, for instance, Peardew's admiring and devoted housekeeper and personal assistant. This lonely, childless divorcee finds asylum in his home, regains her emotional footing and is ultimately named benefactor of the estate after he passes. The inheritance comes with the stipulation that Laura must also continue Peardew's task of reuniting lost objects with their owners and unravel their secrets. She teams up with Sunshine, the spirited and powerfully intuitive 19-year-old daughter of quirky neighbors, and Freddy, the handsome, rugged gardener with baggage of his own. The trio list the lost items on a website they call "The Keeper of Lost Things," in homage to Peardew, with a nod to Anthony of Padua, the venerated Catholic patron saint for the recovery of lost items. As they progress in their mission, however, their personal lives are upended and strange happenings start occurring. Doors become mysteriously locked, clocks stop and a notable picture frame even shatters. Might there be ghosts in the mansion who have unfinished business on earth? If so, can Laura and her new friends help them find what they're looking for? Shelf Talker: A heartwarming, enchanting novel about how lost things--and the lost souls of people--can often be found via serendipity and fate.